Denise J. Rice, 75, of Merrill, passed away on Saturday, March 16, 2019 at her home. Denise was born March 9, 1944, in Merrill, daughter of the late Hugh and Dolores (Damaske) Lee. She married Irvin Rice, Jr. on August 7, 1965 at Trinity Lutheran Church, Merrill. He survives. Denise attended nursing school and received her L.P.N. license. She worked as an L.P.N. for many years at the former Holy Cross Hospital in Merrill. She retired from Bell Tower Residence, Merrill, working as a C.N.A. and L.P.N. 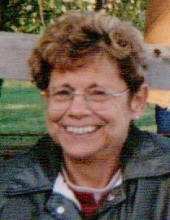 Denise was an active member of Trinity Lutheran Church in Merrill. She was involved in the Ladies Aid and the church choir. Denise enjoyed going to Hodag years ago and camping at Lake Puckaway. She also enjoyed spending time at their cabin in Gleason. They ran the family’s ‘Camp Silver Trout Pond,’ a fishing pond off of Silver Creek that her family started in the 1940’s. Denise was a member of a local Red Hatters group. She enjoyed working on ceramics and attending water exercise classes. Denise also enjoyed flower gardening and taking care of her houseplants including her Crown of Thorns. She especially looked forward to spending time with her grandchildren. Survivors include her husband, Irvin Rice, Jr. of Merrill; daughter, Tanya (Anthony) Villano of Minnesota; son, Dana (Debbie) Rice of Merrill; grandchildren, Emily Villano, Benjamin Villano, Joseph Villano, Dominic Rice and Destinee Rice; and sisters-in-law, Karen Radtke of Rockford, IL, Karen Rice of Merrill and Phyllis Rice of Merrill. Denise was preceded in death by her parents, Hugh and Dolores Lee; infant daughter, Kimberly Rice; and brothers-in-law, LeRoy Rice, William (Margaret) Rice, Gerald (Jeanne) Rice and Eugene Rice. The funeral service for Denise will be held at 11:00 A.M. Saturday, March 23, 2019 at Trinity Lutheran Church, Merrill. Rev. Scott Gustafson will officiate. Burial will take place in Lutheran Memorial Church Cemetery, Town of Russell, Lincoln County. Visitation will be from 4:00 P.M. until 7:00 P.M. Friday at the Taylor-Stine Funeral Home, Merrill, and after 10:00 A.M. Saturday at the church. To send flowers or a remembrance gift to the family of Denise J. Rice, please visit our Tribute Store. "Email Address" would like to share the life celebration of Denise J. Rice. Click on the "link" to go to share a favorite memory or leave a condolence message for the family.